For the most part, the report is a narrative constructed from interviews after the accident. It blames Massey Energy for the accident, and also finds fault with federal and state regulators. The report contains a lot of allegations and conjecture that has been composed to make a point. And, because regulators withheld information from the GIIP and many executives elected to exercise their Fifth Amendment rights, the report asserts a tacit implication of guilt. Webster’s defines independent as, “not subject to the control of others.” Some people might wrongly confuse independent with objective. This report is far from objective. If former Governor Manchin wanted an objective report, his staff would have advised him against asking McAteer to conduct the investigation. 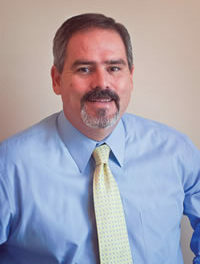 McAteer is currently Vice President of Sponsored Programs at Wheeling Jesuit University (his alma mater). He was the former head of the Mine Safety and Health Administration under the Clinton Administration (1994-2000). Many of us remember those years vividly. The industry also remembers when we testified before Congress after the Sago tragedy and said the technology to communicate and track miners was readily available, when it wasn’t, implying mine owners were placing profits before mine safety. That testimony was part of a process that eventually led to the enactment of the MINER Act. The Coal Age editors and writers have attempted to offer unbiased reporting on the UBB tragedy. Sometimes, however, the facts are plain as day and we have to report the situation as we see it. According to the law of the land, Massey Energy, its executives and the regulators are innocent until proven guilty. McAteer has always been an advocate for mine safety at all costs. The families of the fallen miners could not have asked the governor to appoint a better investigator. For many families, this report might be the best story they have to explain why their fathers, brothers, uncles and grandfathers perished. Unfortunately, the many sidebars foreshadowing obvious political agendas detract from the overall quality of the report. The cheap use of a political cartoon that implies affordable U.S. energy is built on the graves of West Virginia coal miners simply insults an industry that has steadily improved its safety performance. The GIIP should be commended for compiling an extensive report. They published 11 important findings with plenty of recommendations. Obviously Massey Energy will disagree with its findings. The recommendations could certainly influence future decisions for improved underground coal mine safety. Sadly, if one reads between the lines, the tragedy could have been avoided if the miners and regulators had followed long-established practices.